Supporting realistic and meaningful goals for your youth's education and vocation. 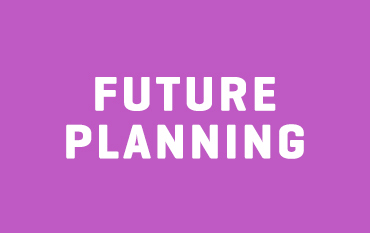 Complete the Youth Quiz section called Future Planning together. Work through the Youth Toolkit Activity Cards to help youth develop skills and knowledge as they are able. Talk to your youth about their interests and goals. Work together through Goal Setting 101. If needed, learn about Individual Education Planning (IEP) for students with special needs. Talk to other parents for recommendations of supportive services they are receiving. A Psychoeducational Assessment by a registered counsellor or psychologist may be helpful in understanding issues affecting a youth's learning and education. Find support and resources through the Adolescent and Young Adult Program at GF Strong Rehabilitation Centre. Have your youth talk to their clinic team and Family Practitioner to see if there are any health concerns that might affect or limit career/work choices. Compare post-secondary programs in BC using educationplanner.ca. Find a mentor (someone who has the same condition or abilities as your youth) and ask them about how they found their path outside of school. Ask your Physician or Nurse Practitioner about the referral criteria to GF Strong Adolescent and Young Adult Program for vocation planning. Learn about rights and responsibilities for employment. Keep a Work JournalEvery Experience CountsWhat I Need to Tell My School or EmployerInterview Someone Else About Yourself! Everyone needs proper identification – start by ensuring that your youth has a Birth Certificate. Next step – apply for a BC ID Card. Help youth get a Social Insurance Number (SIN) so they can work. Print off the ON TRAC Transition Timeline for your fridge or desk – start the conversations. For youth with special needs, download the BC Ministries Timeline onto your phone/computer, and/or print a copy. Talk to school counsellors for information about volunteer opportunities that match your youth’s interests. Hear Allyson’s perspective on how household responsibilities are important for building confidence. Explore work, training, education and volunteering opportunities through InclusionWorks.ca for youth with developmental disabilities. Start youth’s own bank account – apply for a credit card to develop a credit rating. Take a look at these Banking Tips from the Government of Canada. Create a vision board of likes, hopes and dreams and how to get there. Explore post-secondary websites for listings of general programs and opportunities. Look through the BC Government's post-secondary education planning page. ‘Transitions’ is an online magazine of educational and vocational experiences by people with chronic conditions and disabilities. Look for a youth-friendly Resource Centre in your community (eg. North Shore Disability Resource Centre) – helping youth with health conditions/disabilities plan for their future. Ask guidance counsellors at school about scholarships, bursaries, and special programs. Check out Government of Canada: CanLearn for education planning, student loans, and education savings and RESPs. Learn about your rights as an employee from Disability Alliance BC. Did you know that if youth have a chronic condition, learning or physical disability, or mental health condition, they can get special accommodations for studying, writing exams, and in case of illness? If you do not register and miss classes, assignments or exams due to illness, youth may not receive any accommodation for marks or course completion. Register early in the term through College or University Student or Disability Services. Learn about Langara Student Services as an example of what one school has to offer – each school is different. Check out this list of Post-Secondary Disability Services Contacts throughout BC. Youth living with permanent disabilities may be eligible for a number of benefits from StudentAidBC. If youth are planning to move away for school, you need to talk to your health care providers and plan ahead. Watch this scripted video about a young woman moving away to college. Find out more about traveling with a medical condition (including travel insurance). Seek out tips on traveling with a specific medical condition, for example, traveling with diabetes. If you rely on the BC Family Residence Program to support your travel and accommodation to health care appointments, learn how these benefits change at adulthood. Learn about youth and adult funding for non-emergency specialists visits through the Travel Assistance Program (TAP) – or call 1 800 661-2668. Learn about adult funding for medical travel available through Health Connections.